Hello and welcome to my website! I’m an independent game creator and installation designer from California that is currently based in Melbourne. You can download and play some of my recent work at itch.io and follow me on Twitter (@mattdeline) or read my Blog for updates. And feel free to contact me if you have any questions. Have fun! Producer/Writer/Designer 2019 Global Game Jam Entry. A satirical game where you play as a piece of smashed avo, smashing things! Producer – Exhibitions of student work throughout the year with developer talks and a podcast featuring our work and special guests! Producer – A playful installation that uses computer vision to track player movement to generate unique soundscapes and visual effects. Creator – An experimental storytelling and performance experience that uses procedural text generation to change elements each time you play! Creator – A neon-infused love letter to the early arcade era with ease of use and accessibility in mind for a custom tabletop arcade cabinet that reacts to how you play! Developer – Collaborative capacitive touch experience where players learn a song from an otherworldly techno-tree. 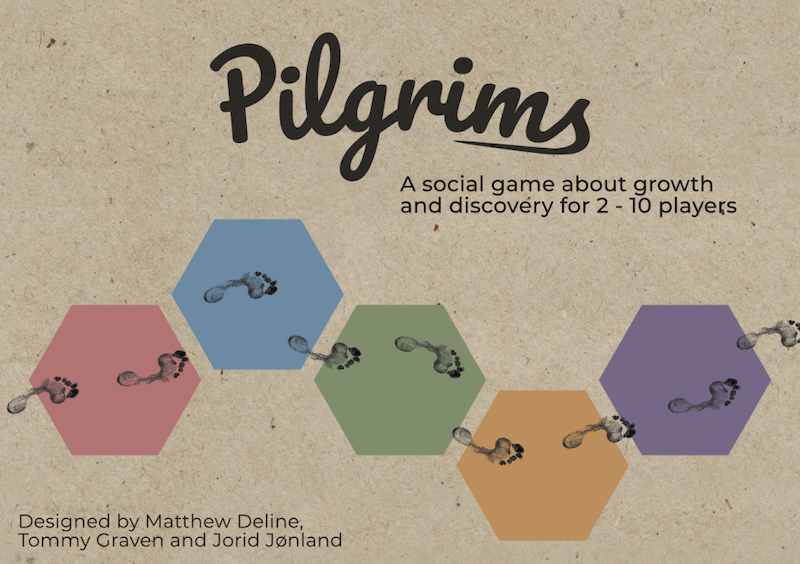 Game Designer – Social board game about growth and discovery for 2-10 players. Based on my experiences walking the Camino de Santiago in 2015. Creator – Paint the walls through movement in this game of Virtual Reality Squash.